"Not ideal for companies larger than 1 person"
Emails to the business. It’s easy to copy email code. Drag and drop, round up, newsletter. It is very intuitive and innovative service. Simple, fast effective. Maybe pricing could be democratized and it'll be an essential software. Try it if you need to save time creating posts. The problem I solved is to sum up article from web, blog post and save a lot of time to create a new article. * We monitor all Publicate reviews to prevent fraudulent reviews and keep review quality high. We do not post reviews by company employees or direct competitors. Validated reviews require the user to submit a screenshot of the product containing their user ID, in order to verify a user is an actual user of the product. Hi there! 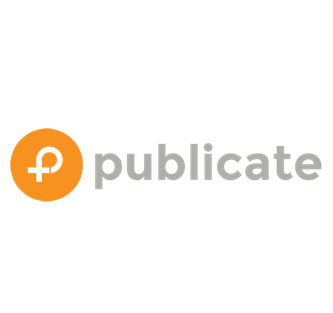 Are you looking to implement a solution like Publicate?